Jem Marsh - Making my Marque. This book, with over 300 photographs, most of them previously unseen, provides a colourful journey through adversity, excitement and ingenuity in a business world normally dominated by large corporations. 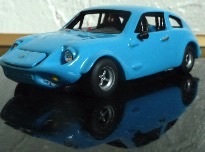 It is the story of a unique car and the personalities who created it. Chief amongst these is Jem Marsh, whose skill, vision and determination - not to mention a fair amount of sheer bloody-mindedness - produced a series of elegant, innovative and distinctive sportscars that turned heads around the world. Jem takes us from his early Austin 7 Specials right through to international racing success at Le Mans. This is a very personal and candid tour, in Jem's own words, of a lifetime spent creating stunning cars that always stood out from the crowd. 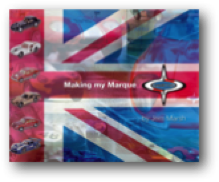 It is a tale of how a marque was born, manufactured, owned and raced over 50 years and when the chips were down, how it was kept alive by the determination of one man's instinct to survive. 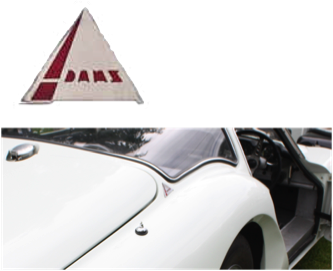 Originally fitted to the Marcos 1800 Coupe, between the rear screen and boot, the Adams badge was also designed by Dennis Adams. These badges are extremely hard to come by but the MOC has secured a very limited number. The badges are enamelled, polished chrome as per the originals. They will be supplied in pairs on a strictly first come basis. Adhesive backed so no drilling required, and can of course be fitted anywhere on the car. 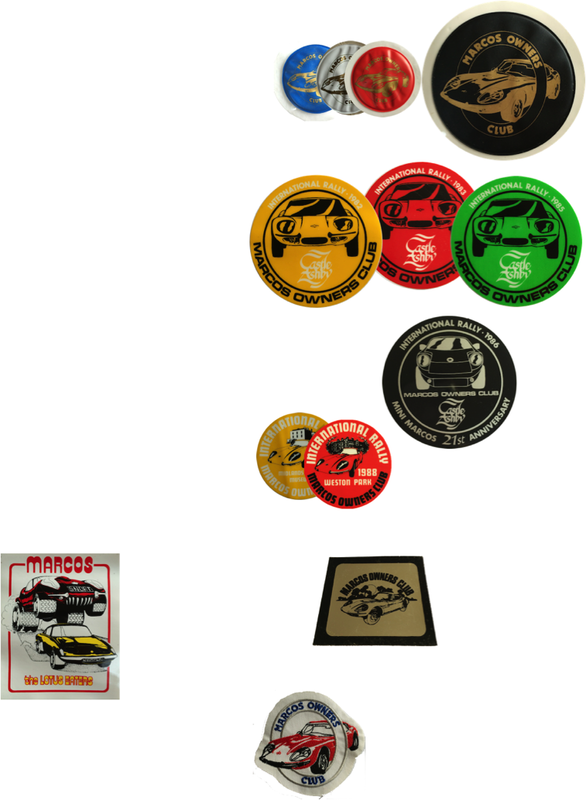 New - original design Marcos Enamel Bonnet Badges, bolt secured. Pre order and pick up at the Marcos Jubilee Rally?